Watch out for certain perennials that are on sale now, however. 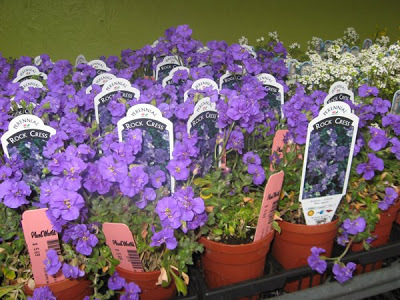 Many you see for sale, like the ones I saw at Plant World yesterday, have been greenhouse forced, are in full bloom, and really need to be slowly hardened off before they go in the garden. 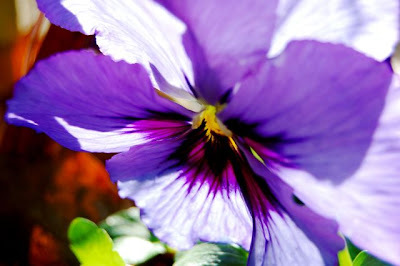 The cheerfully blooming greenhouse-forced plants in the pictures below fall into that category. Hardening off is a practice of letting plants sit outside in the shade for a few hours each day before they can go out full time in the sun. [Edit: A few days will do it. You could also simply leave them in a sheltered spot close to the house, which tends to provide a bit of a microclimate. Generally, any field-grown perennials you buy don’t need to go through this process.] It gives the plants a chance to toughen up to real-life outdoor conditions: full sun, wind, cold. So be aware when buying. Some are not quite ready for prime-time. Remember to harden off. In any case, beautiful as these babies are, perennials always transplant better when they are not in bloom. 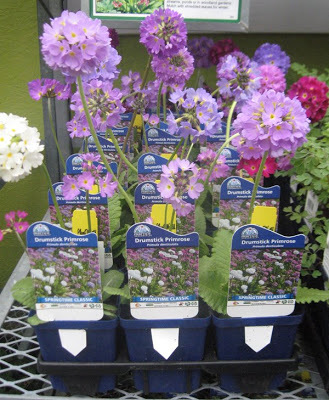 Better to enjoy these drumstick primroses in the house, harden off, then plant them later when the bloom is over.